Wishing all a joyous, peaceful and green holiday season. Few plants are blooming right now. But several perennials are starting to come back, thanks to the cooler weather – and a little judicious watering. One of these – the first species planted in our new Bie Havn Pollinator Garden - is the California mugwort, Artemisia douglasiana. Our Plant of the Month has an easy-to-pronounce scientific name: ar-teh-MEE-see-uh dug-LASS-ee-ANN-uh. It’s yet another example of California’s many species in the Sunflower (Asteraceae) family. California mugwort is also commonly known as Douglas’ sagewort. The genus name, Artemisia, is the old Latin name for the wormwoods and mugworts. The name probably honors the Greek goddess Artemis. The species name douglasiana honors David Douglas (1798-1834), an early Scottish plant collector in the Columbia River region of the Pacific Northwest and in northern California. A number of native plants honor Douglas (the most common is the Douglas fir). Specimens he collected for the Horticultural Society of London were an important early introduction of our west coast native plants to a European audience. 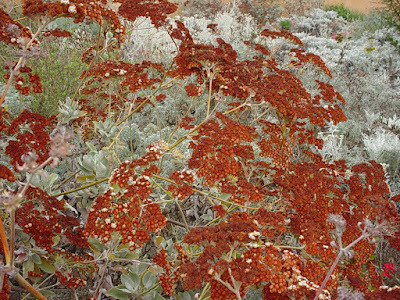 Artemisia douglasiana is native to the western U.S., from Washington and Idaho south to California and Nevada. Growing in most of the lower elevations of California (below about 6000 ft; 1800 m.), it can be found in the moister areas of many plant communities including Chaparral, Coastal Sage Scrub, Northern and Southern Oak Woodland, Mixed-evergreen Forest and Yellow Pine Forest. 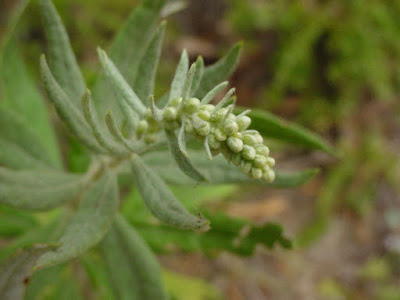 Mugwort is also common around freshwater marshes and in moist meadows. It once grew extensively in the coastal wetlands of western Los Angeles County, and can still be found in the Santa Monica and San Gabriel Mountains and on Catalina Island. It was common along the Los Angeles and San Gabriel Rivers and their larger tributaries. You can see it in a natural setting in the Gardena Willows Wetland Preserve. 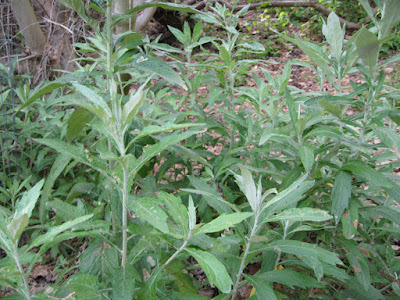 California mugwort is a part-woody, perennial groundcover plant in the Sunflower family (Asteraceae). It dies back in the fall (the best time to prune it) and sends up new shoots and branches with the cool, wet weather of winter. It’s a spreader; it increases via underground stems (rhizomes), by rooted stems (where they touch the ground) and by seed. 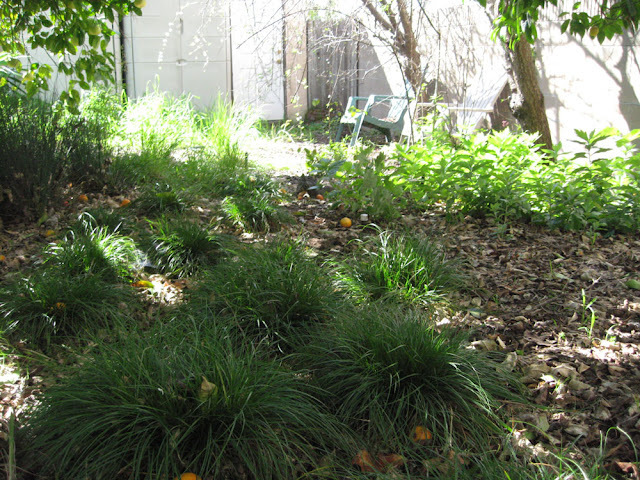 This is a natural groundcover and will fill an area given time. If you want to limit its growth, you’ll need to contain it. Artemisia douglasiana is known for its erect stems and fresh green foliage. 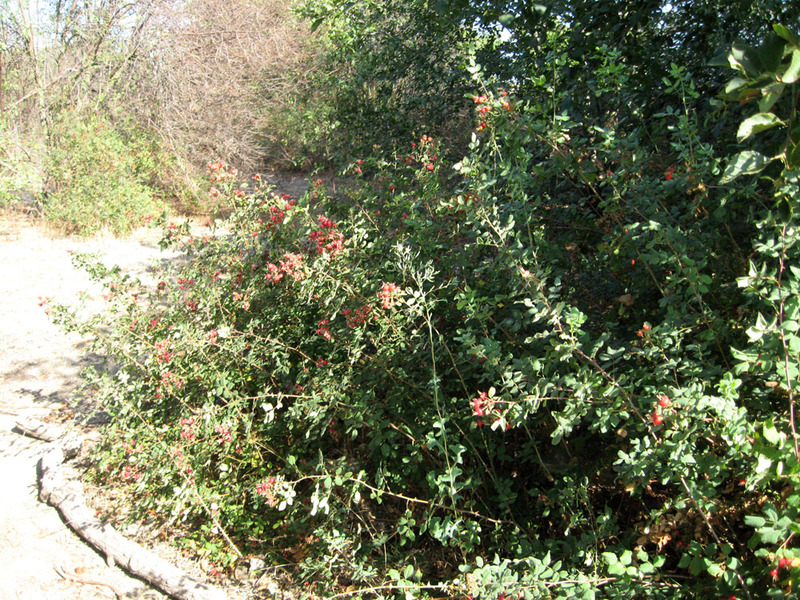 The stems are 1-5 ft. (50-250 cm.) tall and somewhat woody at the base. The stems are upright or recumbent (lying down). 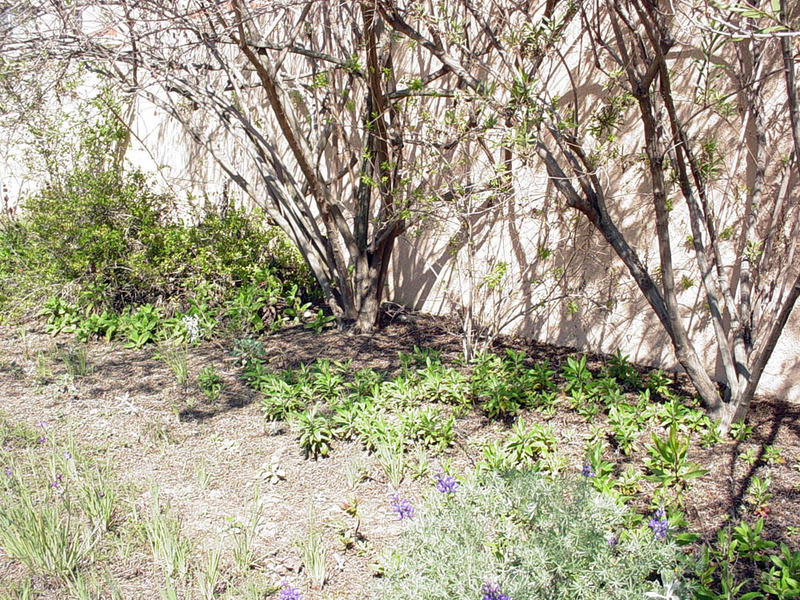 Older, unpruned stems often lie on the ground and send up new, upright branches. Mature clumps of Mugwort can be as much as 10 ft (3.5 m.) or more across in favorable sites. The foliage is pale green on emergence, becoming medium green above and a pale green beneath. The underside of the leaves are covered with dense hairs. 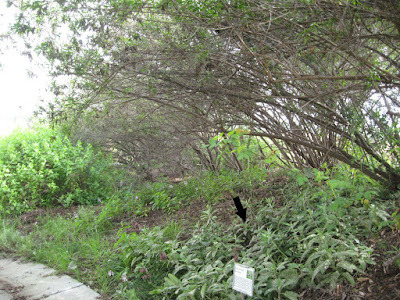 The plants can turn their leaves, bottom-side to the sun, as a protection against hot, dry conditions. 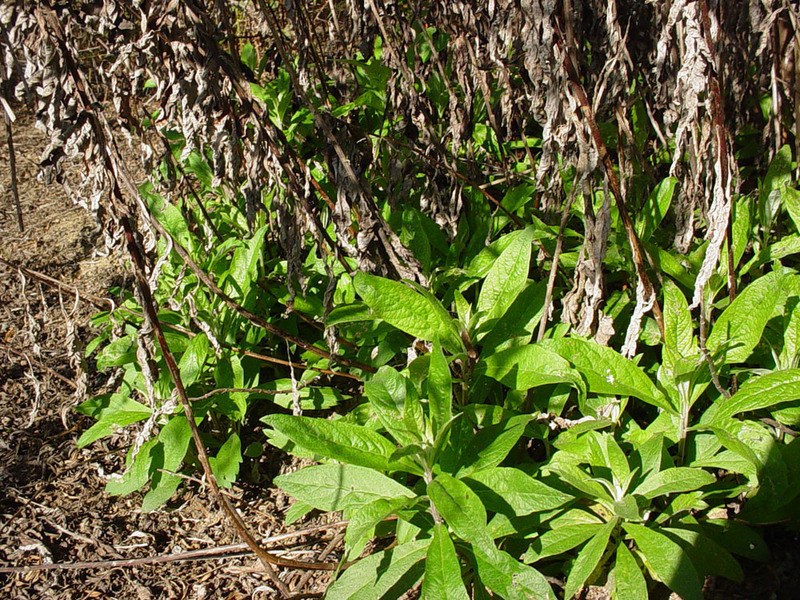 The leaves are simple and coarsely-toothed. They are slightly succulent, softly hairy and have a fresh, slightly pungent odor when crushed. California mugwort is not one of our showy native sunflowers. 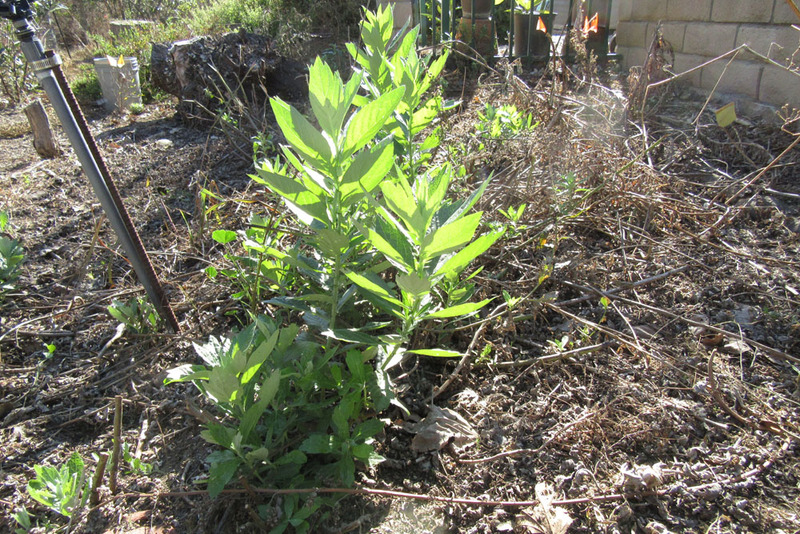 It’s more like California sagebrush; small green-gold flowers, densely spaced on the tips of the stalks. The flowers do attract the insect pollinators: native bees, pollinator flies and butterflies. And the seeds are eaten by the seed-eating birds in fall (watch for Goldfinches and White-crowned Sparrows). The plants themselves provide cover for ground-dwelling and feeding creatures like lizards and birds. 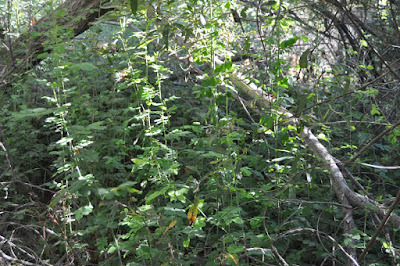 So Mugwort is a good plant for providing general habitat. 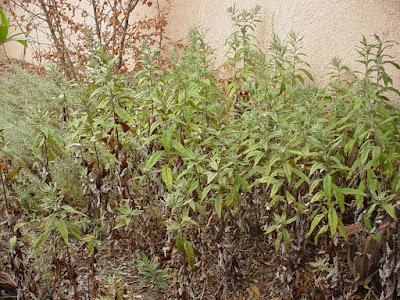 California mugwort is fairly easy to grow. In our hot S. California gardens it prefers some afternoon shade. It does well in dappled shade (or even darker) under trees. It’s not particular about soil texture; we’ve grown it in both very sandy and clay soils. It looks better with occasional summer water – a deep watering once or twice a month from May to September should suffice. A Mugwort clump really needs to be cut back in late fall. We cut ours back almost to the ground. No need to be persnickety when pruning – we sometimes just pull up the old, woody stalks and break them off. This is also a good time to pull up stems that have grown beyond their desired perimeter. 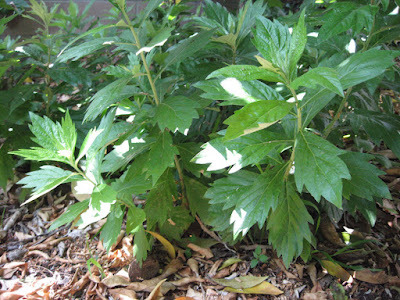 Mugwort is a handy plant for shady spots under trees, where a green non-ivy groundcover is needed. It does well on slopes, and will help bind the soil. 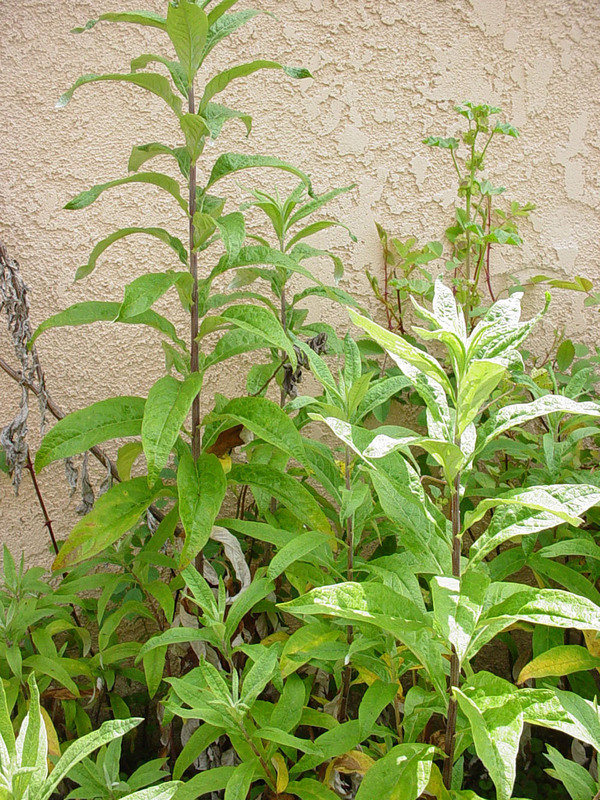 We often mix it with the Woodmints (Stachys species) and Hummingbird sage (Salvia spathacea) for a mixed groundcover. It’s a great plant for locally-themed gardens, giving just the right ‘wild’ element. 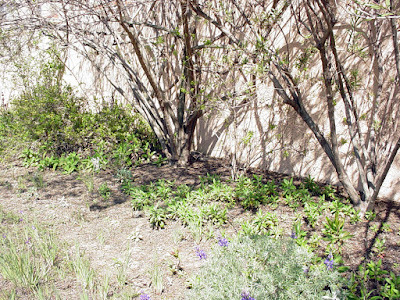 It’s also a candidate for the medicinal garden, with a long history of traditional use. 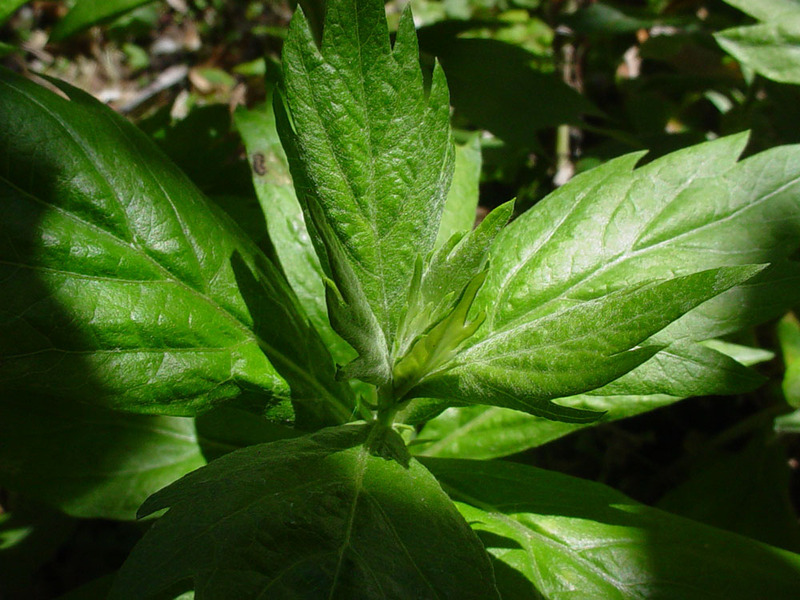 In fact, Mugwort’s medicinal properties are currently being evaluated for use in Western medicine. 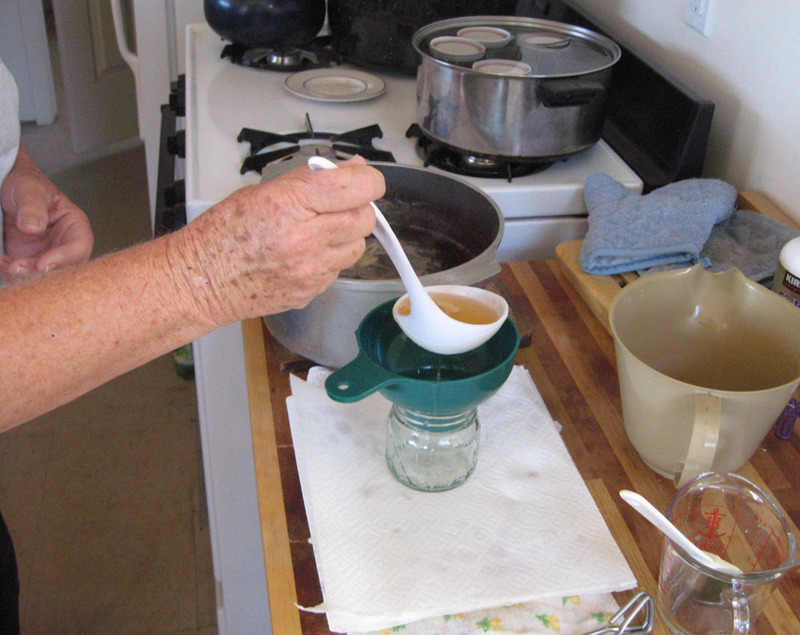 A topical (skin) application of a decoction (tea) made from the leaves is affective against a number of micro-organisms. 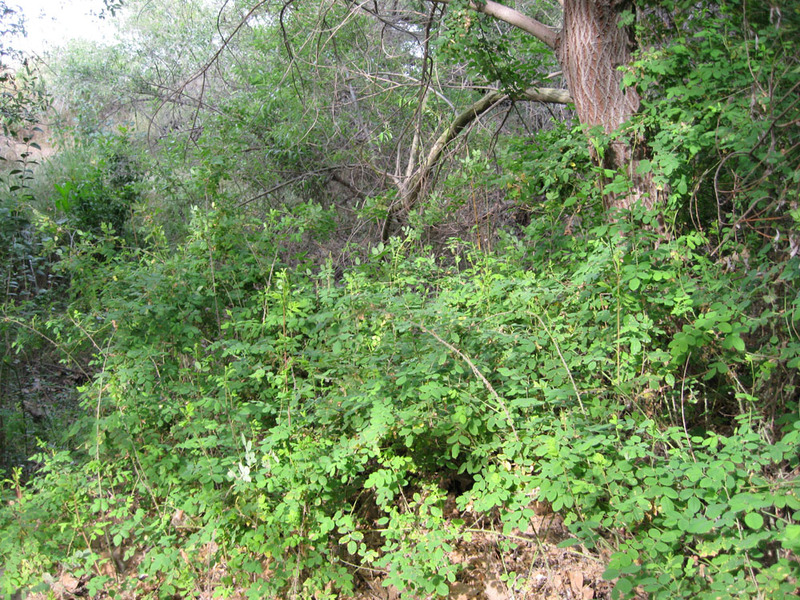 Rubbing the leaves on affected skin is said to be soothing for poison oak rash. And the leaves do provide a non-greasy ‘hand lotion’ for the hands; we often rub the leaves between our hands after a day of gardening. Works like a charm on dry hands! 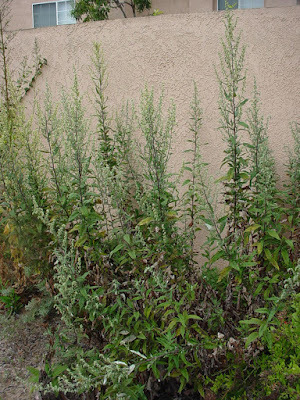 As a medicine, Artemisia douglasiana should not be taken lightly. It is powerful medicine and should be used sparingly and under the care of a practitioner. 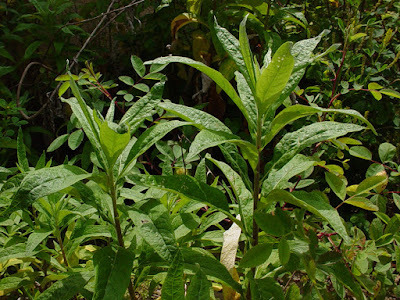 It is sometimes used as a tea for stomach and gastrointestinal ailments. The plant chemicals have cytotoxic (cell-killing) properties, so this is not a medicine to use indiscriminately. For more on the medicinal properties of this plant see references 1-3, below. Mugwort also has another interesting property: it induces vivid dreams. 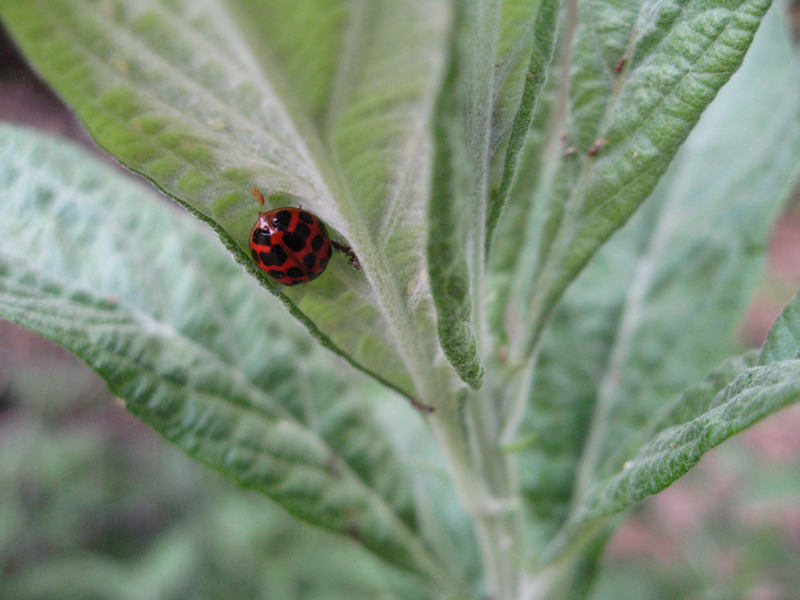 Some native traditions believe that sleeping on a pillow of Mugwort leaves will bring dreams of one’s future spouse. We not sure of that, but it does induce vivid, technicolor dreams (we tried it). It’s certainly not a sleep aid! In summary, Artemisia douglasiana is a useful plant if you have the right place for it. It’s a great all-round habitat plant that looks good much of the year. It’s carefree (except for fall pruning) and can be contained. 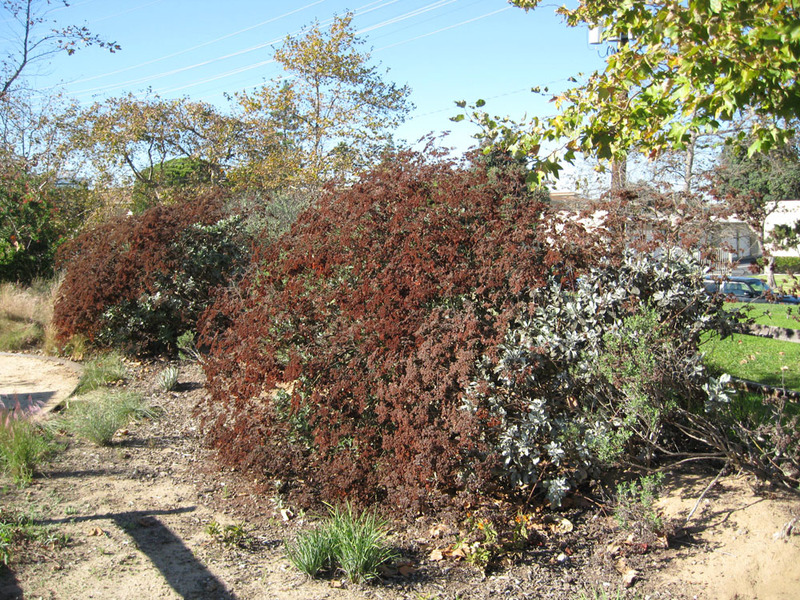 It’s not the showiest of our California natives, but it’s a reliable groundcover for shady spots. Appetizers made from native California buckwheat seeds. The winter holidays are almost here. If you’re planning a holiday party, you’re probably already thinking about food. And if you’ve dried native buckwheat seeds - and the leaves from your favorite native sage - now’s the time to use them. Flatbreads are found in most cultures around the world. Some common flatbreads are: pita, tortilla, roti, naan, fatir, lefse, chapati, fry bread and many others. They may be made from local cereal grains and seasoned with regional seasonings. So traditional flatbreads can reflect the unique flavors of their native region. 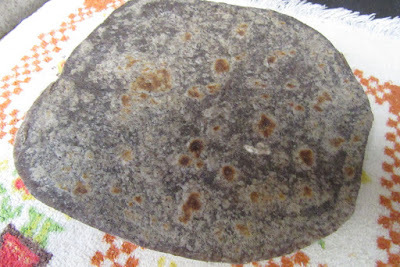 Flatbreads are often unleavened: they contain no yeast, baking powder or other agents to make them rise. They are rolled out or patted with the hands to make them thin and flat. They are usually cooked on a hot griddle, although traditional baking methods vary around the world. They are fairly easy to make and can be used to create a make-ahead appetizer for your holiday parties. Most gardeners aren’t aware that native buckwheats are edible. You can collect the seed heads (chaff and all), remove the stems, dry them and use them in baked goods. The Giant buckwheat is particularly simple to use, with its large, easy to collect seed heads. We routinely collect the seed heads when we do our fall pruning. We store the dried ‘seeds’ in an airtight glass jar until we use them. 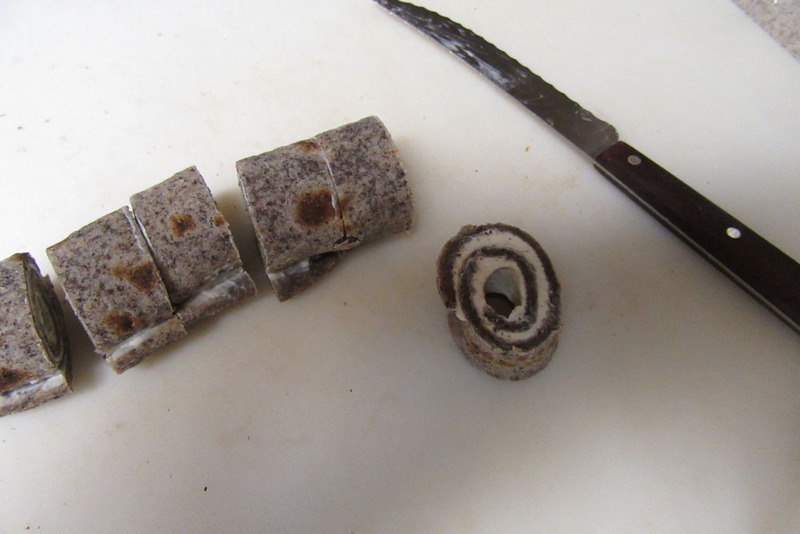 We like to grind the dried seed heads and substitute them for part of the flour in flatbreads, muffins, scones and bread. 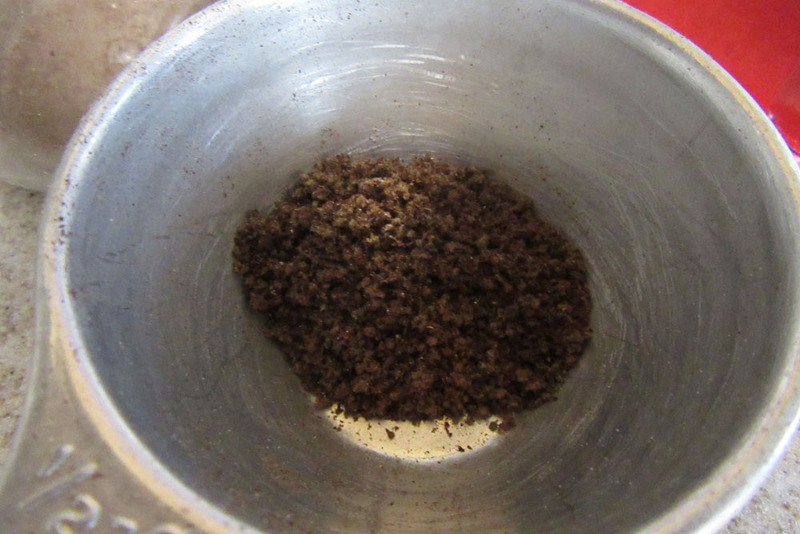 We use a coffee/spice grinder, which grinds the seed heads to a ‘flour’. The dark color and slightly sweet flavor of the ground buckwheat adds interest to pedestrian baked goods. Buckwheat edibles are always a source of curiosity. And they are one more reason to use the native buckwheats in your garden. Below is just one recipe that uses native buckwheat ‘seeds’. Combine butter and milk and heat until butter is just melted - on stove or in microwave. Combine 1 ¾ cups flour, ground buckwheat, salt, butter and milk. Sprinkle work surface with flour then knead for a few minutes until it is smooth - it doesn't need much kneading. Add extra flour if the dough is too sticky. Wrap with cling wrap and rest at room temperature for 30 minutes or so. Dust bench top with flour, cut dough into 4 pieces, roll into balls, then roll out into about 1/8" / 0.3cm thick rounds. Heat 1 tsp olive oil in a non-stick griddle over medium-high heat - lower if you have a heavy skillet. Place one flatbread on the griddle, cook for around 1- 1 1/2 minutes - it should bubble up - then flip and cook the other side, pressing down if it puffs up. There should be a golden brown spots on both sides. Stack the cooked bread and keep wrapped with a tea towel - the moisture helps soften the surface, making them even more pliable. Continue to cook the remaining pieces. Cool. 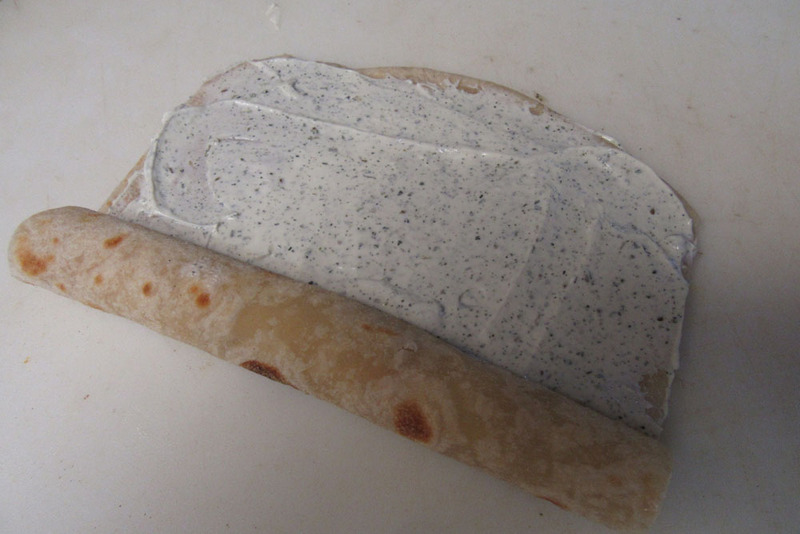 Spread ¼ of the filling on each flatbread, smoothing the filling to the edges. Roll the flatbread into a tight roll. 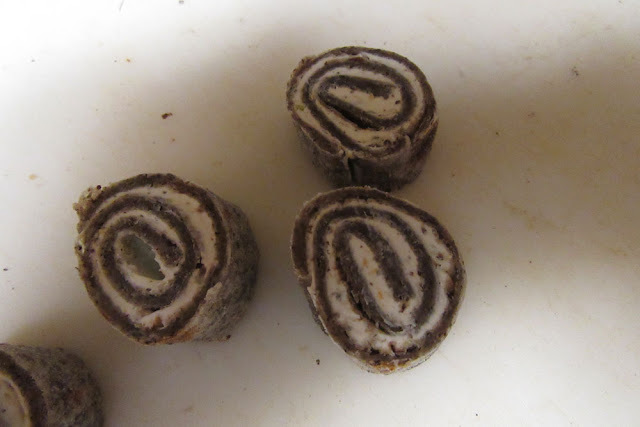 Refrigerate the rolls for about an hour to make it easier to slice. Slice the rolls into 1 inch pieces. Refrigerate the completed appetizers until ready to serve. You can make them up to 2 days in advance. No, wild roses aren’t blooming in November. Our weather’s been crazy, but roses are still a summer treat. 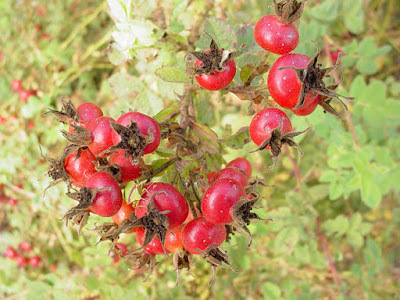 But the Rosa californica in Mother Nature’s Garden of Health has colorful fruits (hips) right now. That why we’re featuring it as our Plant of the Month. The scientific name is easy to pronounce: ROSE-uh cal-ih-FOR-nih-cuh. The California wild rose is the common rose of much of California, from Oregon to Baja California, Mexico. It grows throughout the California Floristic Province (West of the Sierra Nevada Range) except in the high mountains. There are nine or ten species of rose native to California. Most grow in the Sierras or in Northern California – areas that get more precipitation than we do. 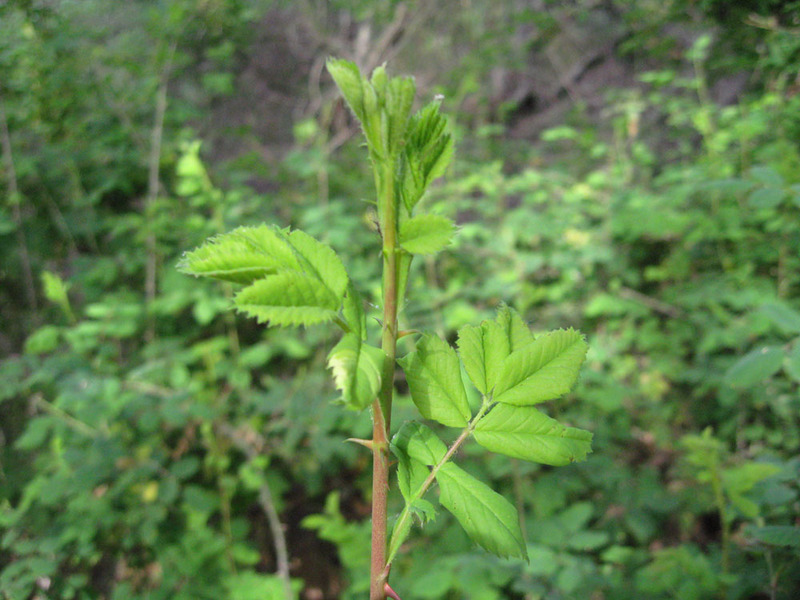 In the San Gabriel Mountains of Los Angeles County, the Woods’ rose (Rosa woodsii) is still fairly common. 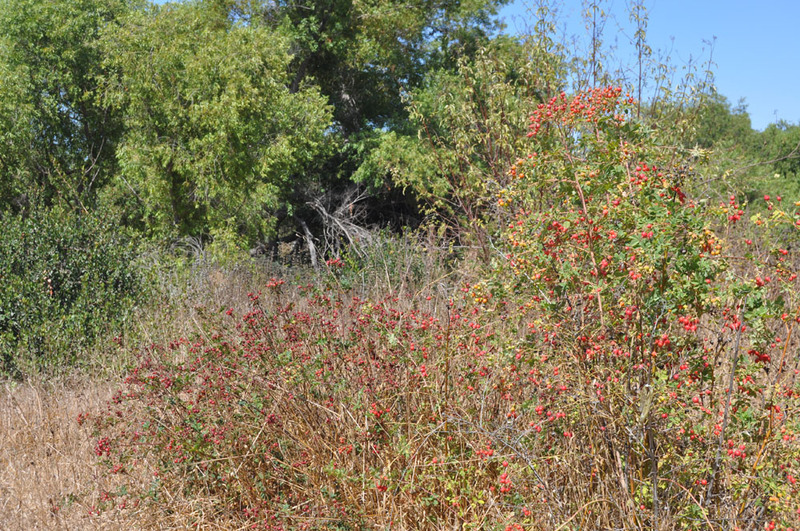 But throughout much of S. California, Rosa californica reigns supreme. The California rose is commonly encountered in moist places below about 6000 ft. (1800 m.) elevation. It can still be seen along rivers and streams, in canyons and in shady woodlands throughout S. California. It once was common on Santa Catalina Island, in the Santa Monica Mountains, and in the foothills of the San Gabriel and Liebre Mountain ranges. It also grew along the local rivers, including the Los Angeles River. 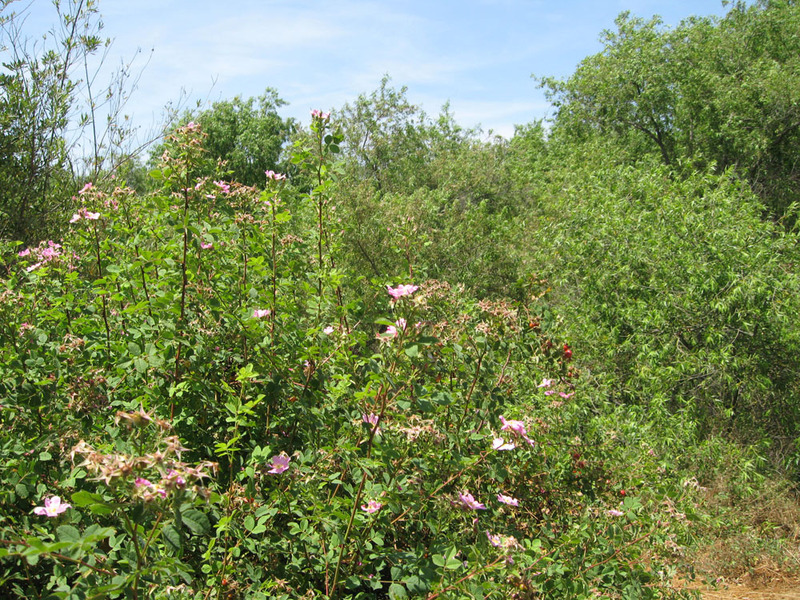 You can see nice patches of this rose in the Gardena Willows Wetland Preserve. There’s even an early voucher specimen from Redondo Beach! 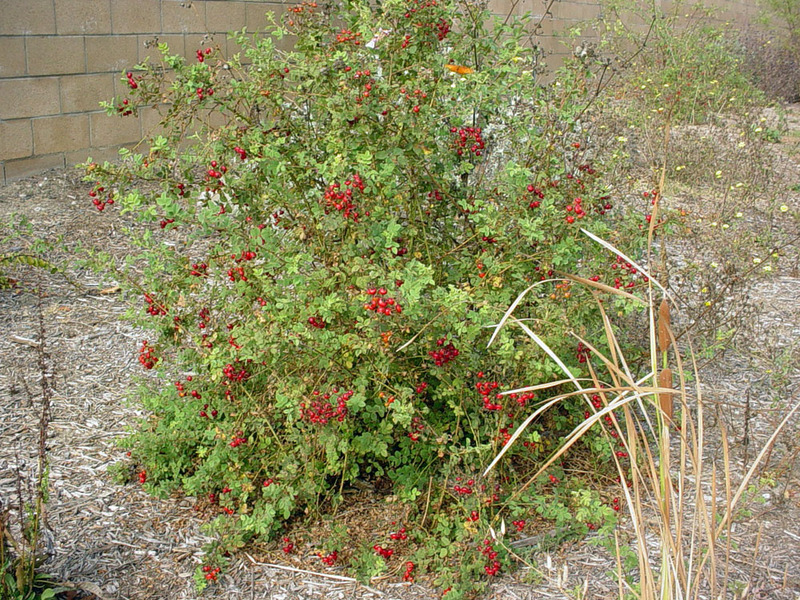 Like many wild roses, Rosa californica is a clumping woody shrub. 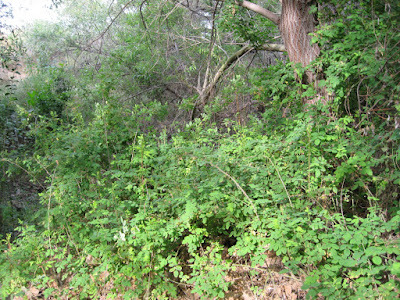 It has long (3-9 ft.; 1-3 m.) woody stems that are often many-branched. It’s a rose, so the stems are prickly – not the big thorns of domesticated roses, but still requiring gloves to handle. Like most roses, California rose is winter deciduous, losing all its leaves with the colder days of December or January. And like other roses, this species is best pruned when dormant (more on this below). 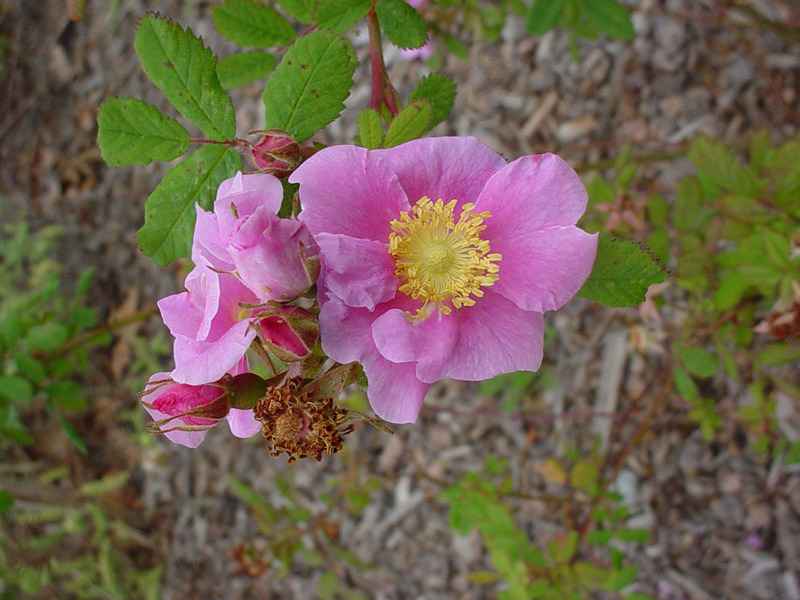 The foliage of California wild rose is typical for roses. The leaves are compound, with 5-7 simple leaflets. The leaflet edges are serrated. The color is yellow-green on emergence, becoming medium- to dark green. If conditions are right, the leaves turn a lovely soft yellow in late fall/early winter. The fall leaf color can be quite attractive. Like many wild roses, Rosa californica is a spreader. It sends up new stems by root suckering and can form dense thickets in favorable locations. Plants that get minimal water spread more slowly than those with regular water. But the nature of this species is to spread when conditions are right. The gardener should seriously consider location when planting the California wild rose. You may want to place it where the spread is limited, or even grow this rose in a large container. 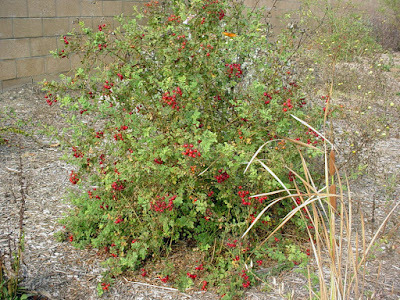 A thicket of thorny roses may not be part of your vision for the perfect garden! The California rose blooms during warm weather. The actual blooming may be off and on from May through October, depending on whether the plant gets water. A blooming Rosa californica is truly a thing of beauty. In a good year, a bush can be literally covered in blooms. The flowers are fairly typical of the wild roses. The flowers are simple – not the many-petal extravaganzas we expect from modern horticultural roses. The flowers are about 1 ½ inches (4 cm.) wide and have five pink petals, usually a medium pink, but sometimes paler or darker. Like all roses, the flowers have numerous stamens and pistils (male and female sexual organs). Not surprisingly, the flowers are insect pollinated (mostly by bees) and plants are self-fertile. The inflorescence (floral cluster) may have up to 20 flowers; a bouquet in a single inflorescence! The flowers give off the heavenly scent of wild roses. There’s really nothing quite like a wild rose on a warm summer’s day. The fruits of all roses are fleshy, ovoid structures containing many seeds. The hip (also called a hep) is actually an accessory fruit; it’s not formed from the ovary of the flower, but instead from other tissues. Apples, pears, strawberries, figs and pineapples are also accessory fruits. The hips of Rosa californica are up to ¾ inch (8-20 mm.) across and are a dark red when fully ripe. The hip begins forming soon after a flower is pollinated. The immature hips begin small and green, then progress through a firm orange stage (late summer) and finally ripen to a somewhat soft, dark red in fall. If you live in an area with fall/winter frosts, the best time to pick the fruits is after the first frost (if the birds haven’t eaten them all before then). Wild roses are less finicky than their horticultural cousins. They can be grown in most local soils (except slow-draining clays) and tolerate full sun to part shade. Plants are more shrub-like in sun; more vine-like in fairly shady conditions. The flower color is often a bit brighter in plants that get afternoon shade. But plants in places that are too shady won’t flower as much. 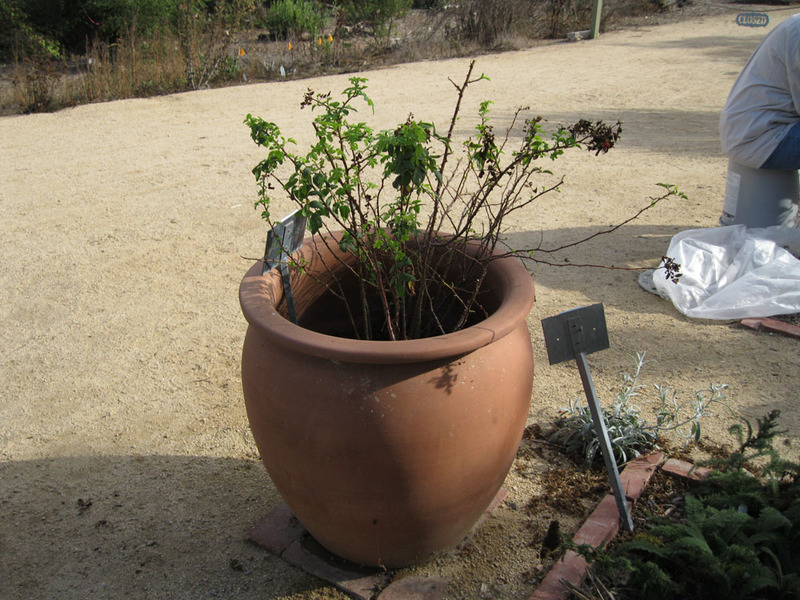 While Rosa californica is more drought tolerant than many roses, it does best with some summer water. Occasional deep watering – once or twice a month depending on soil drainage – is enough. If grown in pots, water whenever the potting medium is dry at a depth of about 4 inches. 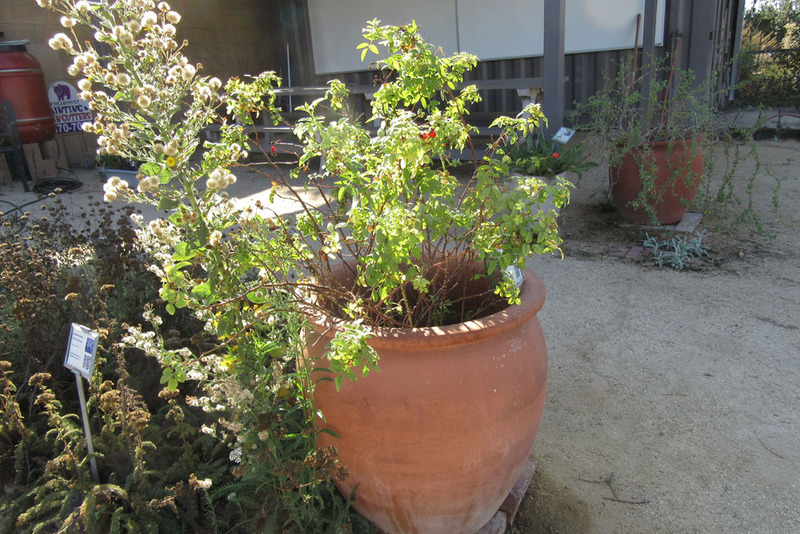 We sometimes water our pot-grown rose several times a week in hot, dry and windy weather. Rosa californica is much less susceptible to the fungal diseases and pests that plague garden roses. Limiting summer water to the recommended levels is also helpful. And California wild rose won’t need much fertilizer unless grown in a container. Container-grown plants should be given several doses of ½ strength fertilizer (or half a recommended dose of time-released fertilizer) in late winter/early spring. 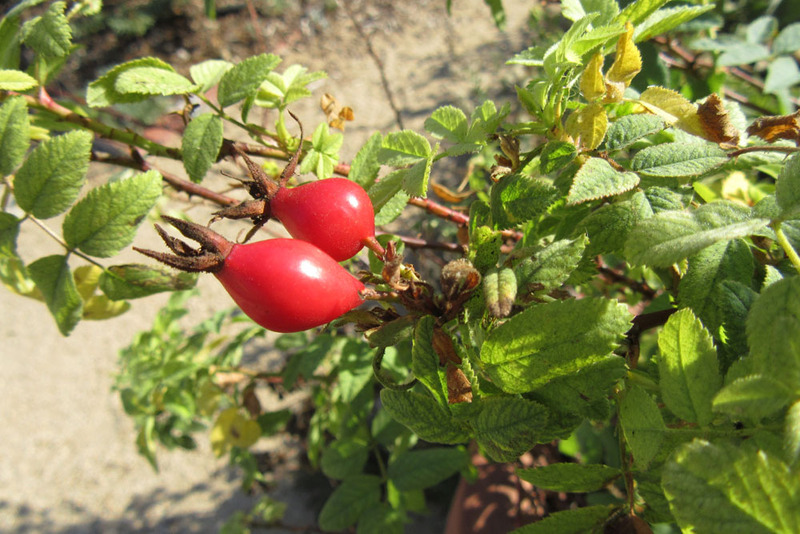 Pruning of wild roses is best done when plants are dormant. We like to prune our pot-grown plant as we would a garden variety. 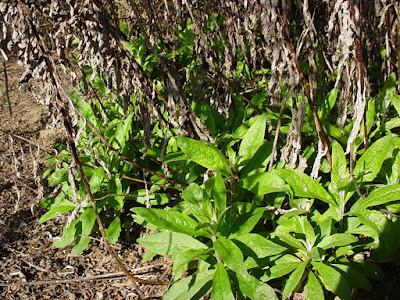 This insures healthy, new growth – and mimics the natural ‘pruning’ of grazing animals in the wilds. It also helps to tame the ‘wild’ appearance somewhat. Some gardeners prefer to just prune out the oldest canes (and those that have sprouted in unwanted places). Either approach is acceptable. So why plant a California wild rose instead of a floribunda? First, there’s the shear enjoyment of planting a species native to our area. Gardeners living near open spaces can make the environmentally sound decision of planting a native rather than a non-native rose. All native plants, in addition to being well adapted to our climate, give us a sense of place and a link to the past. In the case of Rosa californica, they also perfume our gardens with the scent of Old California. California wild rose is an excellent habitat plant. 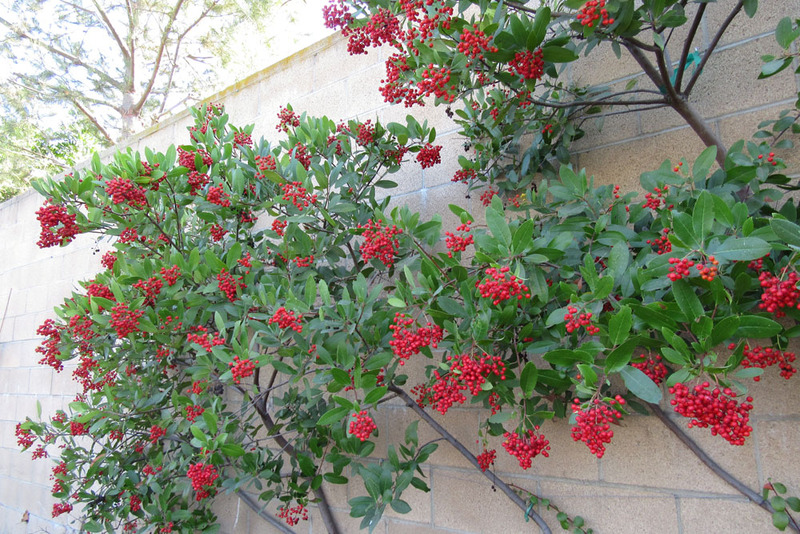 It attracts bee pollinators, including some native species. Many rose cultivars attract few, if any, pollinators. The plants provide armed cover for ground dwelling creatures like lizards and ground-foraging birds like White-crowned sparrows, Doves and Towhees. And the fruits are prized food for the fruit eating birds (bluebirds, grosbeaks, robins, mockingbirds, and sparrows). 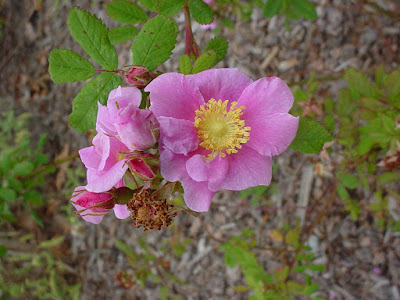 California wild rose – and other roses – have long been used as perfumes and for potpourri. The stems are sometimes used as rims in twined basketry. And, of course, the wild roses have long been prized for their edible and medicinal uses. Most parts of the plant have a history of use as medicinals. Dried petals were formerly ground and used as baby powder to help prevent diaper rash. An infusion (tea) from the petals was also used to treat pain and fevers in infants and children. Rose hip tea is still taken for fevers, colds and sore throats. The high vitamin C content of the hips partially accounts for its efficacy. 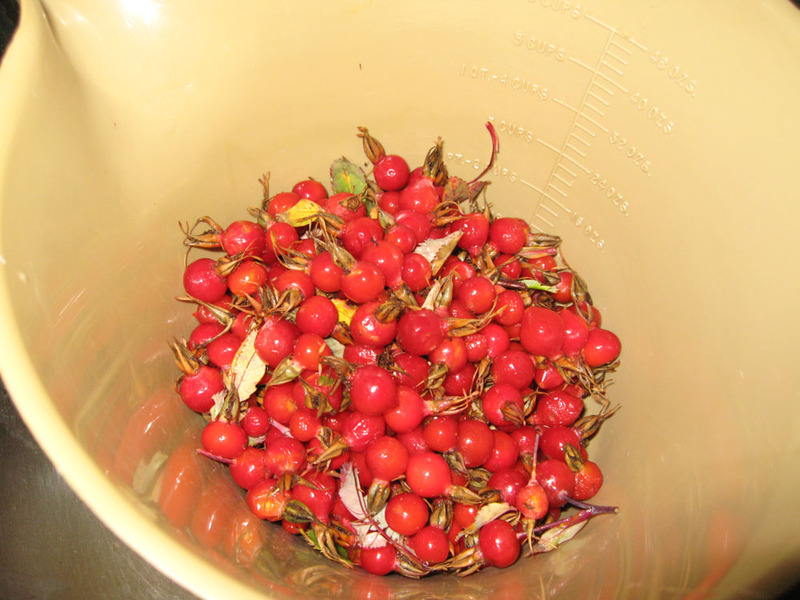 But rose hip infusions have also been used as a wash for skin sores, so the hips may have additional antibiotic properties. In summary, California wild rose is a unique, useful and lovely part of our Southern California natural heritage. It can be used as a barrier hedge or planted on hard-to-maintain canyon slopes. It can also be planted in contained areas – even in large pots. 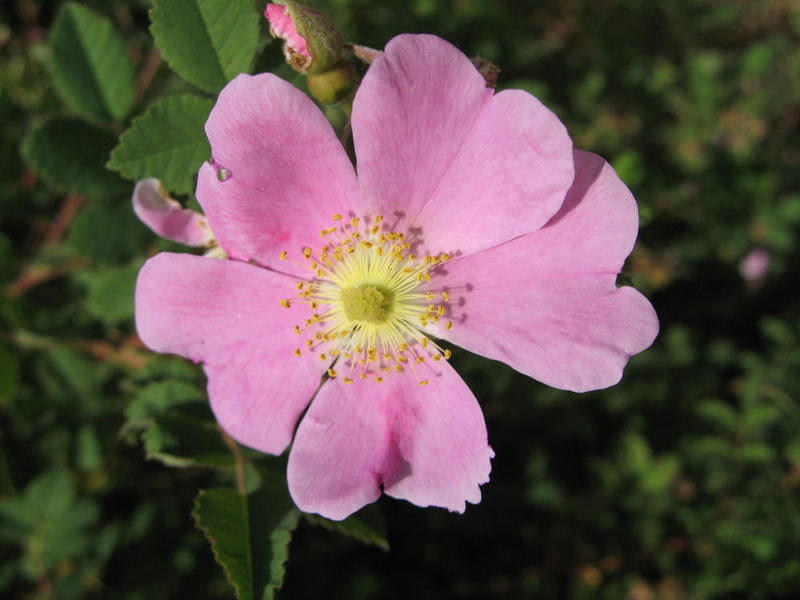 We hope you’ll look for - and possible use – this wonderful native rose.